Where do people gather once or twice a week for a few hours at a time where the temperature can be a real bone of contention? Church! With a diverse group of people meeting together in the same place consistently there is bound to be some disagreement on how warm or cool the room should be. 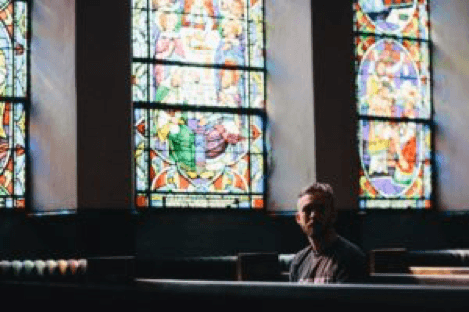 HVAC issues in churches are very common. The heating and cooling needs of a church are very unique: a church only needs to be heated or cooled for services and special events, not 24/7 like a home or on a regular schedule like a business. 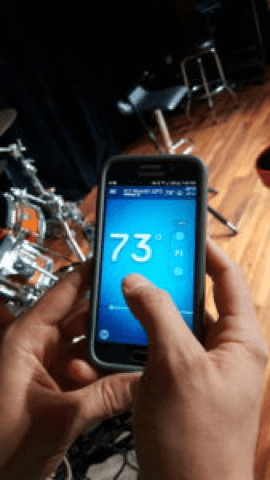 Wi-Fi thermostats are a wonderful way to address the flexible needs of churches. 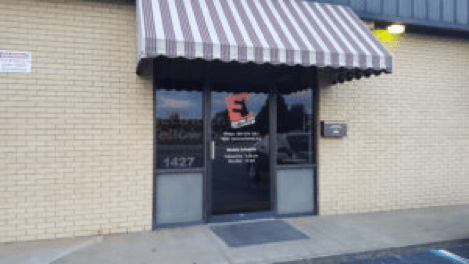 Electric City Fellowship is a local church currently meeting in a strip mall. They have a larger sanctuary area as well as 2 classrooms. 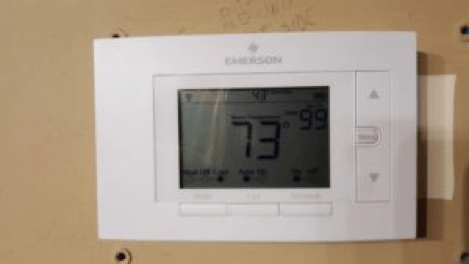 Their heating and cooling was controlled by 2 older, manual thermostats. The first person there on Sunday mornings would turn the AC on at around 7:30 am and the building would get noticeably cooler until about 9:00 am. As more people arrived at 9:00 am and the sun starting bearing on the building, the church stopped cooling down. By the time service started at 10:00 am the room was quite warm! The church leaders had a lot of comments and complaints on the heat and were worried that some church members may stop coming. Upgrading their cooling system would have been ideal but that option wasn’t in their budget immediately. With that in mind, Stiles suggested replacing the thermostats with Wi-Fi thermostats so that the system would have more time to run on Sunday mornings and get to a comfortable temperature before anyone arrived. After trying out different programs, they found the “sweet spot” to keep the church cool all the way through service! The AC now turns on at 12:00 am on Sunday mornings which never would have been possible with a manual thermostat (no one is getting up at midnight to turn the AC on at church!). 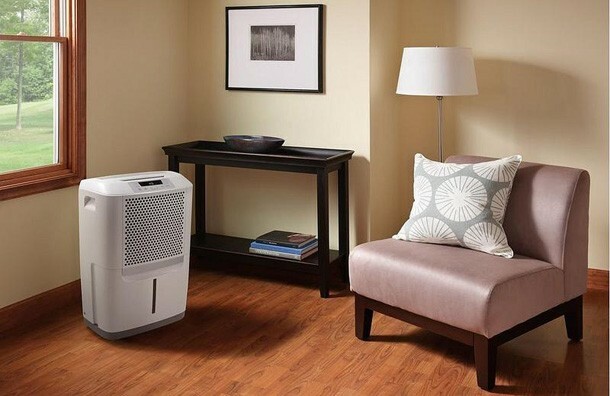 Programming also allows them to save money by using the natural coolness of the night and early morning so the AC unit doesn’t have to fight the heat so much. They also found that they can discreetly change the temperature during service if need be which was never an option before since the thermostat was located on the stage area which is the center of attention during service. Stiles has a variety of Wi-Fi thermostats available for sale and install. Electric City Fellowship chose to go with the Sensi thermostat because it is a simpler Wi-Fi thermostat and would be easy to understand for multiple people who would be controlling it. It also fit well in the customer’s available budget. If have questions about how to improve the heating and cooling at your church and you’re located near Athens, GA or Anderson, SC, give Stiles a call: 864-222-COOL. They can find a solution that fits your needs and your budget! If you’re located outside those areas and need help with your church HVAC or any other heating and air conditioning issues, fill out the quick form at https://www.hvac.com/find-contractor-steps and we will connect you with a trusted pro from the nationwide HVAC.com contractor network. HVAC contractors, if you have a great case study to share about a successful project in your area, let us know at [email protected]!